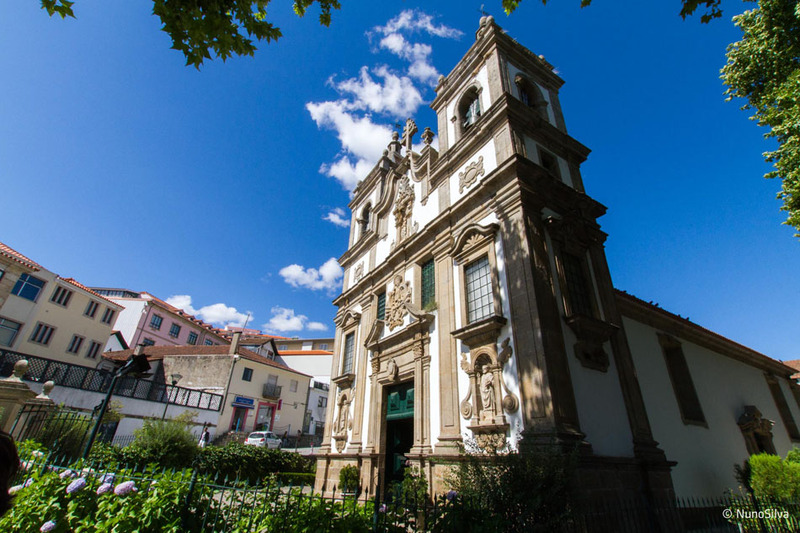 Don’t miss the beautiful tile panels of the great Chapel of the Igreja de São Pedro, one of the best examples of Baroque style in Vila Real, Portugal. 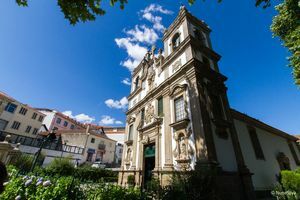 The Igreja de São Pedro Church in Vila Real is worth noting for its major chapel decorated with polychrome tiles from the 17th century representing pious scenes, as well as for it’s lavish filded coffered ceiling. The original building was built in 1528, although many alterations have been introduced to reach the current state. The most part of these changes occurred during the 18th century, creating a mainly Baroque style. Don’t miss the tiles of the major altar, the panelled ceiling, and the façade with two imposing bell towers, making this church a unique example in the whole town. The main reredos and chapels are also Baroque. Largo de São Pedro, Vila Real.